To overcome the boredom that is January, me and a few of the guys from the Adventure Sketch Club decided to sign up for a week’s worth of artistic adventures organised by the council of parish churches along the old pilgrims way, an ancient route carved out by the feet of the rodents of medieval England. 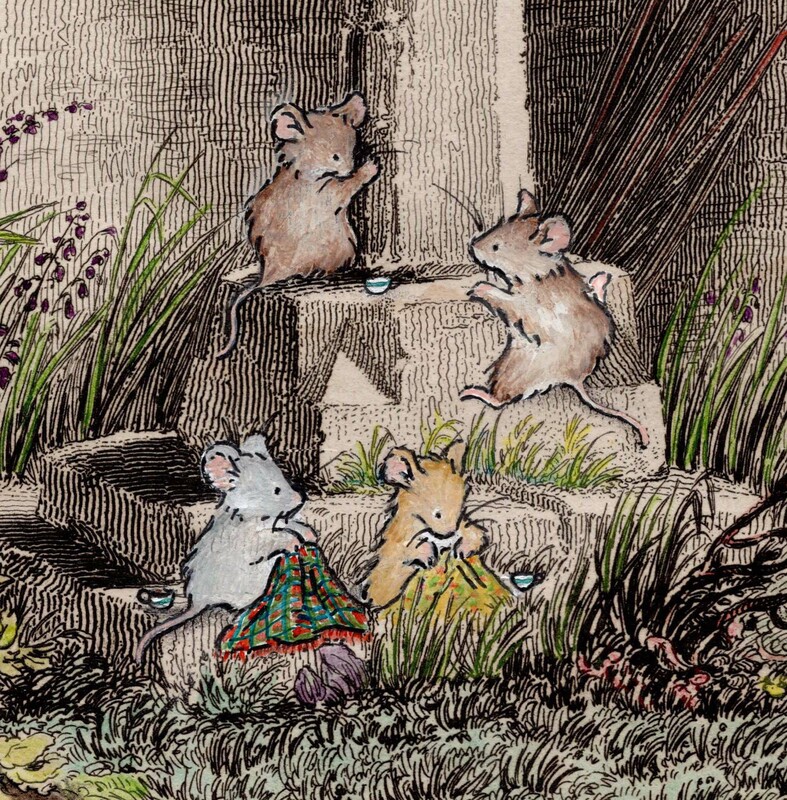 Originally brought to fame by Geoffrey Cheddar in his epic 14th century magnum opus ‘The Canterbury Tails’ this much trodden route has provided spiritual solace for many a mouse down the ages. After a weekend of relaxed rambling and impromptu sketching we reached St Agnes of Meadow Bank on the Monday to start an inspiring two day glass painting workshop and then moved on to the parish of St Edmund the Not-So-Grate for a midweek afternoon of brass rubbing. 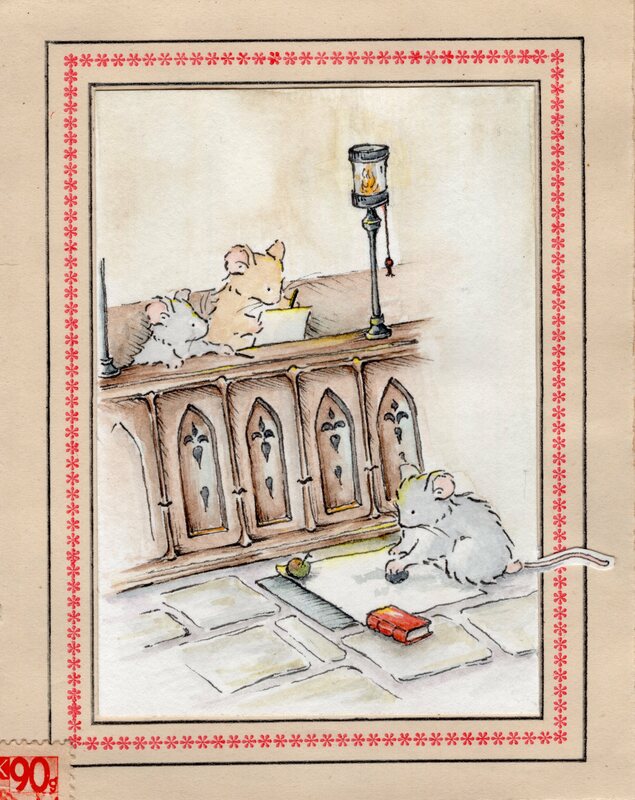 Chapter 15 of the Canterbury Tails is dedicated to this not so successful mouse, who after being appointed to the royal court in 1379 as Keeper of the Kings Cheese, made, one night, a name for himself by singlehandedly saving the King’s castle from a siege of rats by firing a half hundred weight of finest Edam from the castle cannons. Unfortunately, with not one witness to his bravery, and no enemy in sight come morning, Edmund was tried for being “drunk in charge of the King’s cheese” and banished to a life of servitude in a church on the edge of the royal estate with a meagre but manageable income. Not one to sit idle, some years later, Edmund ingratiated himself back into the King’s affections by inventing a simple device to shave cheese for the purpose of toppings on royal soups and savoury puddings, and for this very reason his sainted remains lie to this day undisturbed in the Western Chancel. So far we’ve had a great time, made even more enjoyable by spending the week champing. A relatively modern concept in human terms, church camping has been a popular activity among mice since time immemorial and most probably the root of the term ‘church mice’. Tomorrow we move on to Mousington Priory for an illuminated lettering seminar, which Bob is most relieved about after coming to the realisation that the monumental brasses over which he’d been sleeping marked more than just the memory of sainted mice like Edmund. Morris would love to hear how you’ve managed to beat the January blues. Please feel free drop Morris a line under his Instagram, Facebook or Twitter shares.